Pure candy for political junkies. Not only will it be fascinating to see who does — and doesn’t — want to join, but Bachmann et al. may have to make some tough decisions on whether a given applicant is “pure” enough to be admitted. Or maybe she’ll simply decide that anyone who wants to be in it can be in it. In that case, think it’ll go over well with grassroots conservatives when some House RINOs in red districts inevitably stampede to join so that they can brand themselves with the “tea party” label ahead of the midterms? Another question: Will any Democrats make the cut? Remember, the Tea Party Express endorsed Walt Minnick. Bachmann tweeted on Thursday: “Just got word that the Committee on House Administration officially approved the House Tea Party Caucus.” Kyle Anderson, a spokesman for the panel, confirmed that it approved the creation of the group. 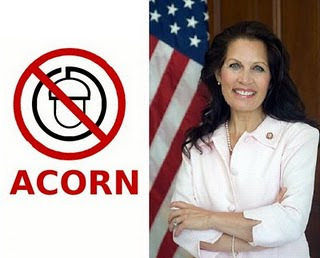 In her letter last week, Bachmann spoke of the group’s affinity for small government.